Nineteen year-old Ohioan Travis Moore is a “citizen soldier” in 1863 who is captured during the bloody Civil War battle of Chickamauga. Banished to a hell on earth called Andersonville Prison deep in Georgia, Travis struggles to endure with his battered comrades in the face of starvation, disease and a sadistic prison guard. When the death and killing finally overflow, Travis must fight back…but at what cost? Years later, two woman cross paths with a brutal gang led by a cold-blooded, haunted man. 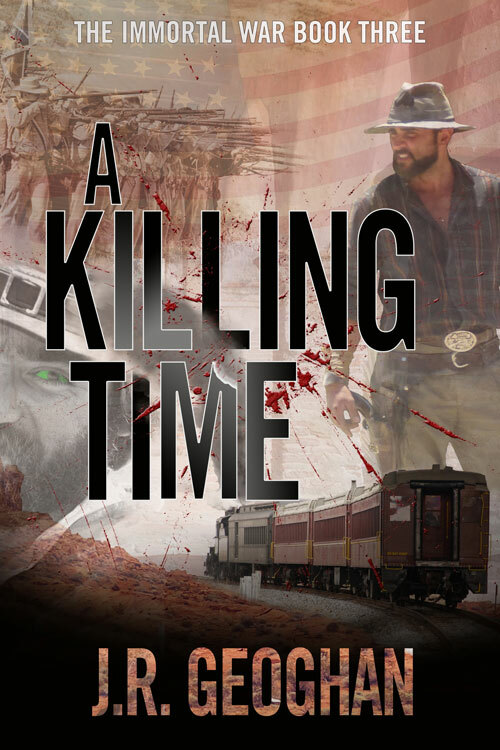 Young New Yorker Mary is on a great train adventure westward when death comes to her family and she must trust a hardened killer for survival. San Juan Capistrano native Dora is caught up in the gang’s retribution for their leader’s betrayal and must take sides before her precious Spanish mission is bloodied. Will Travis find a way to avenge both himself and those he left behind to die—even if it takes the rest of time? From the battlefields of the South to the wild hills of old California, he will find redemption offered in the most unlikely of places. But Travis may lose his soul before he can make peace…with his own murderous heart.